Notes: Preferred to be kept singularly in larger home aquaria due to infighting between males though friendly towards other tank inhabitants. 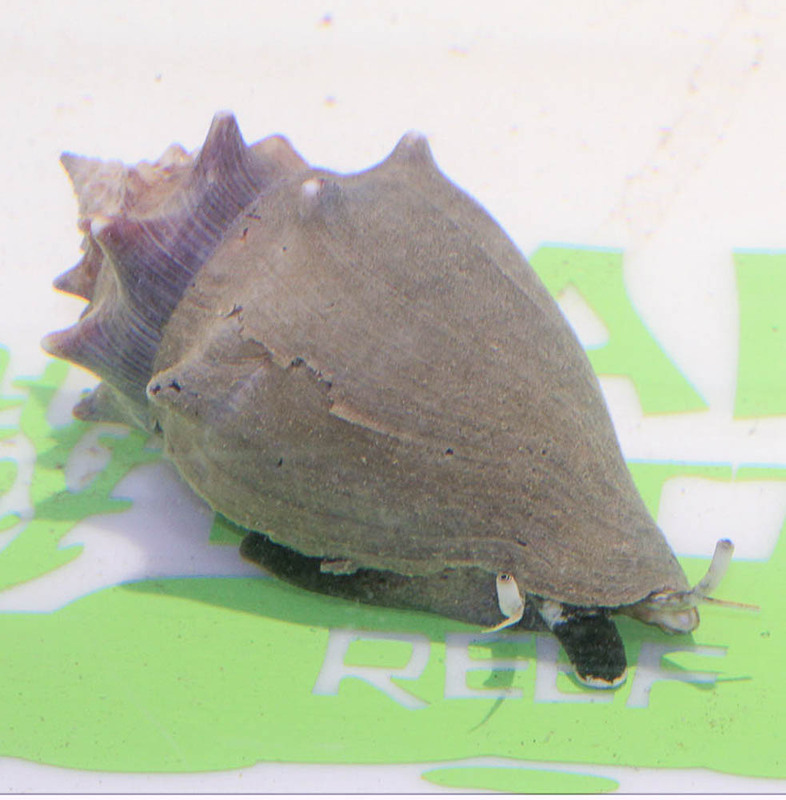 The Fighting Conch is a popular snail due to ability to aerate deep sand beds eating detritus, meaty foods and some forms of algae. Has a large appetite and should be kept in larger aquariums. Wasn't sure what to expect when I ordered this conch, but I was pleasantly surprised when it arrived. It was professionally packaged, which was no surprise since Salty Bottom Reef Company always packages their shipments wonderfully. It was somewhat active upon arrival, but really got moving once it was fully acclimated to my aquarium. A beautiful addition to my tank. Pleased with my purchase. Thanks!